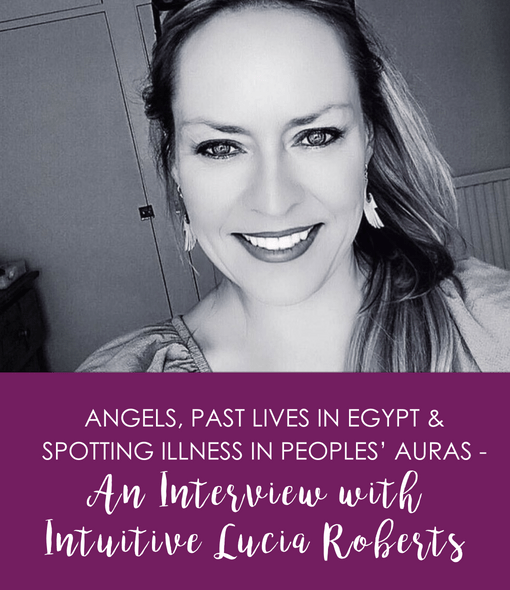 In this interview, I talk to Lucia Roberts, who is an intuitive based in Brighton, UK, where she has a thriving practice offering readings and Reiki to the general public. Lucia is a graduate of both my Akashic Record Reading Program and Intuitive Reading Program. On top of her work as an intuitive, she is also a Reiki healer and an angel card/Tarot reader. Lucia shut down her natural clairvoyance in childhood and I wanted to share her story of what happened when she opened it up again in her late 30’s, after decades of having shut it down. Sometimes students and readers of this blog know they have gifts but are afraid to open them up, or use them. So I thought there would be some readers out there who might be interested to hear about Lucia’s experiences! Anna: Welcome, Lucia. Thanks so much for doing this interview! 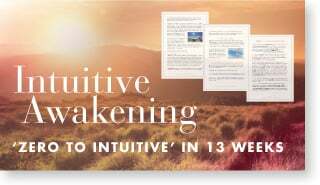 OK, so I want to start by asking you: how did you originally become aware of your intuitive abilities, and was that a positive or a negative experience for you? Lucia: Hi Anna, thanks for interviewing me! To answer your question, I first became aware of my intuition around the age of 4 or 5. As far back as I can remember, I have seen patterns, energy fields and aura colours around people and I always had a desire to help people in pain to feel better. One day when our neighbour (a lady who lived next door) came over for a coffee and a bit of village gossip with my Mum (we lived in the countryside in Denmark), I noticed that she had a grey colour around her body and suddenly it came to me that she was ill. I told my mother what I saw but she seemed quite embarrassed and told me that it was ‘just my imagination’. One week later, that neighbour was in intensive care after having had a stroke. It was then that I realised that other people couldn’t see what I was seeing, and I started to hide my intuitive ability and kept the things I saw to myself – because my family didn’t approve of them. And it was not until my late thirties (when I took up meditation) that I began to see auras around people again – it was really exciting that the ability had come back, but at the same time it was a bit frightening. It definitely took a bit of getting used to, in the beginning! Anna: What do you consider to be your strongest skill as an intuitive and how do you receive your information? Lucia: When I tune into a client, first of all I receive information via my feelings and emotions, and then I will begin to receive images that are related to (1) the question the client wants me to focus on, or (2) an area in their life that needs attention or healing. So I would say that my strongest intuitive abilities are clairsentience and clairvoyance. Anna: Did you always know that you wanted to be a professional intuitive? How did that unfold for you? Lucia: No, I definitely did not expect to go into this field! When I started meditating in my thirties and my ability to see auras came back, I decided to book a session with a well-known psychic in Wales. She told me that I wasn’t living my life purpose and that it was time for me to use my intuitive gifts to help other people. At first when she told me this, I panicked a little bit and I wasn’t quite sure how to deal with the info, but after spending some time thinking about it, I decided to just embrace it all and go with the flow. And also to enjoy the passion that I had always had with me throughout my life for spirituality, psychology, healing and helping others – making that decision has changed my life and brought me to where I am today. 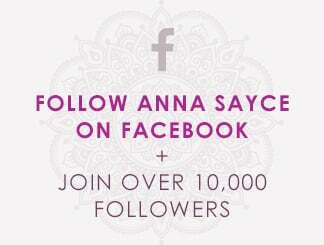 Anna: What has been the most challenging obstacle as an intuitive and how did you overcome it? Lucia: In the beginning, one of the biggest challenges for me was to have the courage to trust the intuitive information that I received from Spirit. Trusting your guidance takes time and practice, and of course, it really helps to get feedback from clients – this is definitely one of the things that helped me the most and so I would recommend anyone who is starting out, to do lots of practice readings with people who are happy to give you honest feedback. Anna: I totally agree. 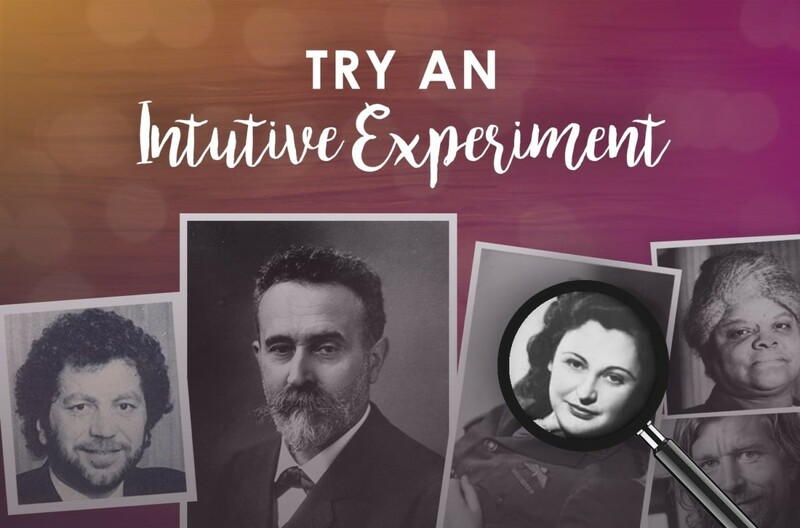 That is why I have made intuitive experiments a regular fixture on my blog, so that people who have never been able to practise in this way can have a go at it. 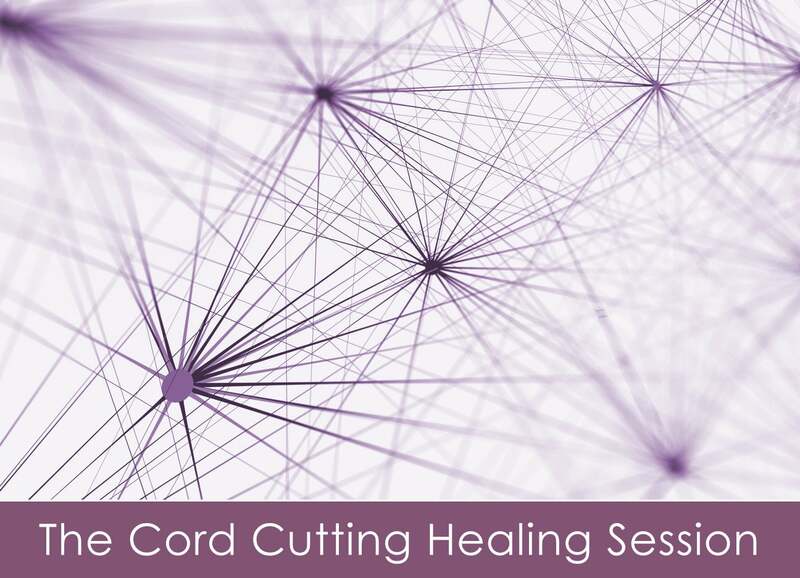 I also recommend that when people seek intuitive training, they look for programs that encourage or arrange for them to do sessions with practice clients. Right. The other concern I had was about how my work would be perceived by the outside world. I think I was mainly worried about the effect it could have on my son and his social life, and how it would be perceived by the parents at his school. But everyone has been so lovely and accepting of me – it turned out not to be an issue at all! I think people these days are more open-minded about spirituality and metaphysical subjects than they were, say 30 years ago. Anna: You’ve trained with a number of well-known intuitives, including myself. Do you think you gained insights from your studies that you wouldn’t have found on your own? If so, what were they? Lucia: Yes, definitely. 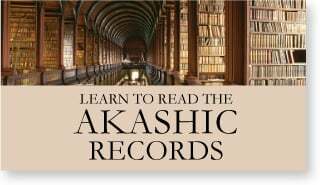 I always find that a new and different perspective from an experienced person in the same field is very inspiring, and learning how to access the Akashic Records in the Akashic Record Program has been invaluable to me. 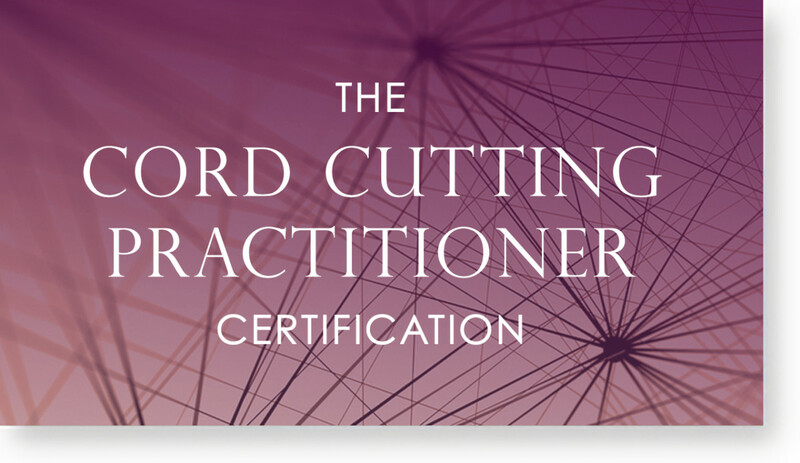 During the course, I learned to work in a far more structured way than I had before and I discovered techniques that really helped me to access past life memories on a deeper level, both for myself and other clients, and this has been a fascinating journey. Anna: On that note, on your Facebook page you describe having flashbacks of past lives while meditating. What kind of information did you pick up and how have those memories influenced your path in this lifetime? Lucia: One of the most detailed past lives that I remembered during my meditations, was a past life that I had as a young man living in Ancient Egypt. In this lifetime, I worked as a Scribe and studied magic and healing in a place called ‘Per Ankh’ or ‘The House of Life’. This was the very first past lifetime I recalled during meditation, and I felt a bit skeptical about it all, I mean – how could I know it wasn’t just my imagination sending me this information? But I had to admit that I had no real knowledge of Ancient Egypt, other than I knew about the pyramids. And yet the memories I received were so detailed and vivid that I decided to take it a bit more seriously and do some research – to see if the memories were historically correct, and they were. One of the most interesting things I discovered, was that there was a place called Per Ankh or The House of Life in Ancient Egypt, and that it was a library where scribes worked that often was connected or attached to a temple. In that previous lifetime, I received training in physiology, nutrition, herbs, magic, energy healing and crystal healing. I remember a healing class, where we received a lecture about the four elements and how they correspond to certain psychological archetypes, which worked as a starting point for energetic profiling of a client before a healing session. I also remember a healing, where I was standing in a shape that looked like a white star, helping another student re-call past life memories in order to aid a healing process. We were also shown how to use something I can only describe as a pre-cursor to the Tarot system or a card divination system. During a class, we would practice divination on each other, using little golden plates, the size of playing cards, which had esoteric signs and symbols engraved in them, and I remember loving these classes. Perhaps this past lifetime explains why I have always felt so drawn to Angel, Oracle and Tarot cards. Even when I was a little girl, I used to cut out squares from magazines, draw symbols on them and call them magic cards. I would put them on a table and then ask my mother to come and draw a card, but I had never heard of divination cards. When I remembered the past life in Ancient Egypt, it had a huge impact on me – it helped me to become more accepting of myself and who I was, and it’s a lifetime that inspires me every day in my work. You also work a lot with Angels – when you are dealing with the energy of Angels, how do you distinguish them from Spirit Guides or other beings? For example, do they give you specific indications that they are around? Lucia: I think Angels can connect with us in many unique and individual ways. For example, if one of your greatest intuitive gifts is clairsentience, Angelic energy can feel quite ‘physical’ when it enters the room – and that’s how I experience it. When I connect with Angels my heart begins to beat faster, one minute I can feel hot – then the next I feel cold and shivery, but it is not in an uncomfortable way, and sometimes I see sparkles of coloured light. With Spirit Guides it’s different, they tend to connect more in a visual way and I see them in my mind’s eye. I have also noticed that Angels often come with a comforting, nurturing, calm and loving energy. Our Guardian Angels tend to focus on our physical safety and helping us emotionally. And Spirit Guides tend to deliver more assertive or dynamic guidance. Some guides can have a kind of a ‘Life Coach’ energy about them. Also, Spirit Guides can have quite strong personalities and a more ‘earthly’ energy about them than Angels. Angelic energy tends to have a more celestial, neutral or ‘depersonalised’ energy, but that’s just my personal experience. Anna: So what is your favourite type of reading to do for clients? Lucia: My favourite type of reading at the moment is the Spirit Guide Profile Reading. Doing a Spirit Guide Reading is a bit like going on a magical adventure – I just never know who I’m going to meet, but I know for sure that it’s going to be a very interesting and insightful journey – all Spirit Guides are so unique in their appearance and energy, and also the messages they bring to the table. Anna: So Lucia, are there things that you do on an ongoing basis to develop and maintain intuitive skills? Can you share any tips with my readers on how to strengthen their own abilities? Lucia: I love drawing an Angel Card every morning – they are a great way of receiving intuitive information. A few years ago, I did an Angel Card Reader Course, and since then, I have used the cards on a daily basis to develop my intuition and it has now become a part of a daily routine. Anna: Do you have a favourite angel card deck that you use? Yes. My favourite card deck is the Angel Reading Cards deck by Australian psychic Debbie Malone. Not only are the angel cards cards beautiful and works of art, but I love tuning into the energy of the cards and receiving inspiration and focus for the day. The images and the messages on the cards have a unique energy, that you can tap into and meditate over during the day. The most important thing to take note of when you look at a card, is the very first thing that you notice – it could be anything, perhaps it’s a colour, maybe it’s just a feeling or a person that reminds you of something or someone. When you do this, it’s really important to allow yourself to get a little bit dreamy and ponder over what you notice first on the image – because it is the thing that you notice first, that holds a unique message or meaning for you – a message that is wanting your attention. It can be a message from your subconscious or it could be a message from your Guardian Angel, and it will be passed on to you through your strongest intuitive gift. So, let’s say that the first thing you notice when you look at the card is a feeling, this could indicate that you have clairsentient abilities. If it’s something more visual, you may have clairvoyant abilities. We were all born with a strong intuition that is there to guide and protect us throughout life – but many of us have just forgotten how to use it in the modern world – it just takes a little bit of time and practice to bring it back. I think it’s important to create some quiet time for yourself every day – even if it is just 5 minutes, to connect inwardly with your intuition. And using Angels or Oracle cards can be a great help if you wish to develop your intuition further. It’s here that I sit and write intuitive readings and my two cats Romeo and Molly often come and join me – they love the smell of essential oils and incense! Anna: So, what’s next for you on the horizon as a professional intuitive? Lucia: Well, since I started reading for people I have received such lovely comments and feedback it has really fed my passion for keeping the quality and commitment to my work as high as humanly possible. And second, to reach as many people as possible, offering a range of readings of the highest quality, with the aim of making a difference to my clients’ lives. Anna: Awesome. Thank you, Lucia! And if anyone reading has a comment for Lucia, please leave it below! Loved the article! I’m just starting out on this path. Is there anything you can tell me that will help me grow on this path? Any messages of encouragement? Thank you for your time! Have a fabulous day. Thank you so much, I really appreciate it! Yes, I will happily share the piece of advice I wish I had applied myself much earlier on, and that is simply to follow your instincts. When you read about any spiritual subjects, listen to your body’s signals. If you read or experience something and feel that your energy goes up, it’s a positive sign that you are on the right path for you. The body is a powerful guide that often knows more about our true needs and path than our conscious mind is aware of, and you can really trust it. I hope this helps, Mandy. Lucia, I know I have abilities but not a clue where to start. I can remember bits and pieces of past lives, I have this strange ability to feel what others are feeling. For instance, if I am watching something on tv or thinking of something that happened to someone like drowning or catching on fire, getting shot and so forth I can actually feel the pain and know what it actually felt like. I lucid dream more and more and I can dream in my dream as if I have two dreams going on at the same time. I always know when something is wrong with someone I know. My question is, is what I have a gift and could be used for something good? Thank you for this interview you are a truly inspiring person! I have an Angel card deck and I am hoping to be able to connect and learn more… I see recurring numbers each day and I believe my angels are always with me. 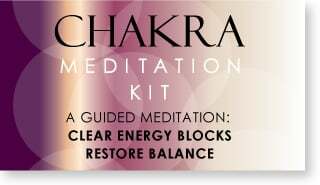 How did you start off to deepen your connection to the Angelic realm? Thank you Lucia for sharing your story around becoming a professional intuitive. I love how this is the 2nd time now I have woken up from a strong dream about a future path as an intuitive and that same morning found a wonderful article in my in box that gives guidance and answers. It seems to be a common theme that we shut our gifts down when we are younger and then worry about what others will think as we once again embrace them. Having come out the closet to a few people so far most have been positive but still need to learn to deal with the family members who think I have lost the plot and disagree . Any tips on how to handle this??? 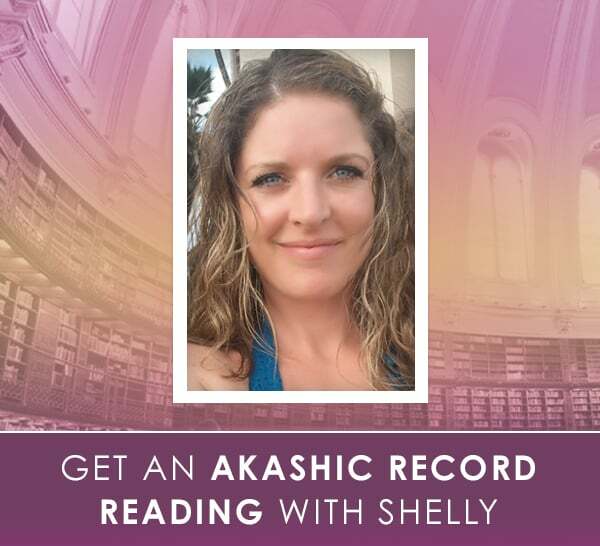 I also really appreciate your comment above to Mandy – I know I am on the right path with Anna’s courses and you have given me the push I needed to do my practice Akashic Records readings and continue with my studies. Thank you so much for your message and kind words Kate, that’s a great question! In the beginning, I actually found it easiest to connect with the Archangels, because they have such a powerful presence and they are each, very different in their energy. 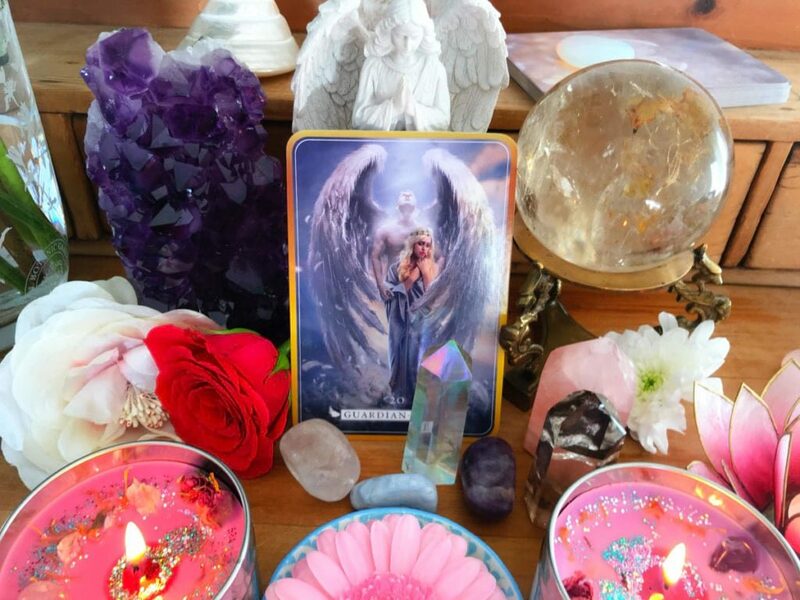 Focusing on one Archangel at a time and inviting them in during meditation, can be a great way to get to know and connect with their individual energy on a deeper level to begin with. When I started reading Angel Cards, I also found it helpful, to read and learn more about colour symbolism and numerology. Once I understood the deeper meaning behind the symbols of the flowers, animals, colours, numbers etc. 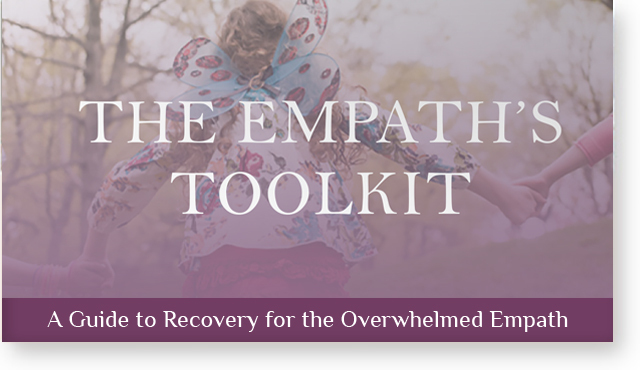 used on the cards, and discovered what they meant to me on a personal level – and our human collective unconscious, it really helped me to understand the Angelic guidance that I received better – in my experience, understanding symbols is a very important key to Angel communication – I hope you find this helpful Kate, love Lucia. Very inspiring interview – mahalo Lucia and Anna! 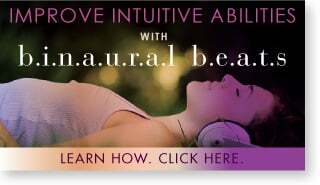 I went through Anna’s Intuitive Awakening course some time ago, and lately have been studying, reading, and practicing a lot on shamanic healing modalities. Much of my insight comes late in the morning through dreams and (Anna’s guided) meditations, and while exercising and driving. It seems Lucia’s Egyptian past-life, and current, early childhood recollections were key indicators as to where you excelled and might reconvene to advance even further in this incarnation. Anna discusses the 30+ archetypes in her IA course, but my question is this… how do we best determine what our SPIRITUAL healing/psychic strengths or modalities are (i.e. tarot or angel card reading, spirit guide profile, psychic or Akashic record reading, Reiki, shamanic healing, channeling, trance mediumship, etc.) aside from intuitive trial and error, to then focus training and mastery in that area? (sorry for the lengthy question). Nice to hear from you! I think it is important to take note of what you are drawn to, and what you enjoy, because those tend to be the ones that you would benefit from pursuing. But the thing to note about that, is that as practitioners we are often drawn to a modality or way of working because we will benefit personally (in terms of personal growth) as much as our clients will. You can fill the blank and ask how aligned it is in a percentage with the modality. Thank you so very much for your insight on making a deeper connection to the Angels! I will certainly start here, thank you for your guidance and your reply it is greatly appreciated!